Gold Glass Group Mouldings will not shrink or discolor over time, never crimp around corners, always lay flush against the vehicle, never need a heat gun to install, and fit both thick windshields and thin tempered parts. 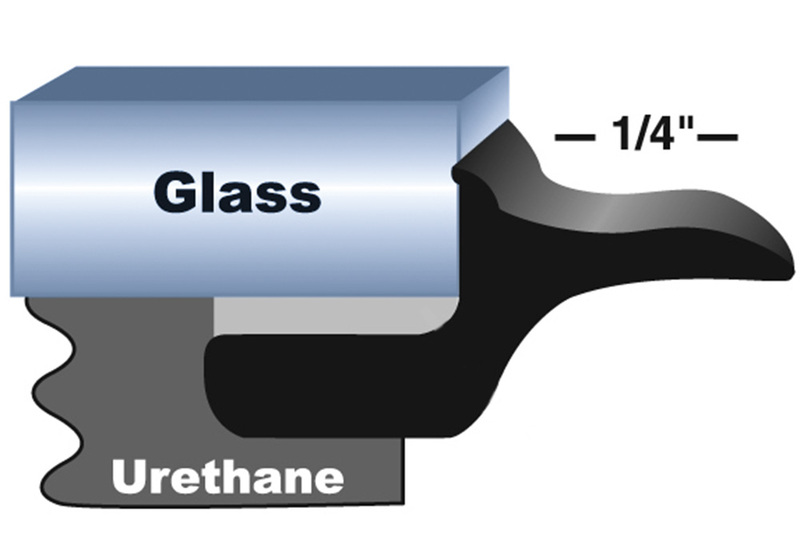 A layer of butyl is embedded into the channel of each molding and adheres to the vehicle while the urethane cures. This adhesive assures a perfect bond and the cured urethane holds it permanently in place.